We cover Movies, TV, Books, Comics, Conventions and Anything Else that tickles our fancy! We lean towards horror and supernatural. Your favorite clones are back! On the heels of the return of BBC AMERICA’s Peabody Award-winning series Orphan Black, the network released today two all-new poster images from the series. Award-winner, Tatiana Maslany, returning to her unprecedented lead role as multiple clones created by “Project Leda”, is joined by Ari Millen who will also take on the charged role of highly trained, identical male-soldiers created by “Project Castor”. More vulnerable than ever before, the sisterhoods bond will be put to the test. The critically-acclaimed, action-packed series returns to BBC AMERICA and will broadcast live across all AMC Networks in a station takeover Saturday, April 18, 9:00pm ET. You can’t choose your family…or can you? BBC AMERICA’s original drama Orphan Black, starring Tatiana Maslany in multiple roles, returns April 18. The groundbreaking series’ second season brought new enemies to light, culminating in a shocking finale which revealed a new line of militaristic male clones, played by Ari Millen. Season three plunges the clone sisterhood, Project Leda, into unexpected territory with the realization that they’re not alone. Orphan Black returns Saturday, April 18, 9:00pm ET on BBC AMERICA. 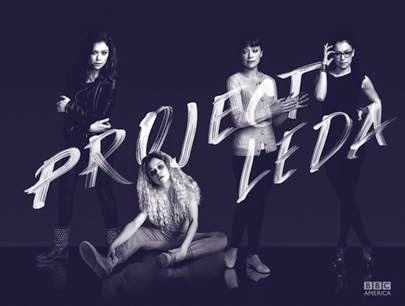 After neutralizing the threat by the DYAD Institute (the company that monitored them) – Sarah, Helena, Cosima and Alison (Maslany) are finally all united in their journey towards the truth of who and what they are. But new discoveries that include Helena’s kidnapping, a book that could contain the answers to their existence and the most shocking discovery of them all – a set of treacherous male clones with an unknown agenda – will test how tight their new bonds are. No sooner has Sarah caught her breath after a stealthy escape from DYAD and the ruthless clone Rachel (Maslany), she is called upon to face the crazed, captive Castor clone, Rudy (Millen). But it is the discovery of Helena’s disappearance that spurs Sarah into action, rallying her sisters in the quest to reunite their clone family, and find peace once and for all. 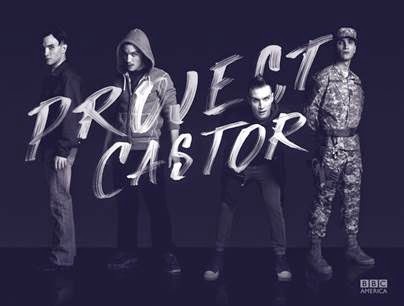 Their greatest threat is a band of highly trained soldiers – identical brothers dubbed Project Castor. Unlike the sisterhood, Mark, Rudy, Seth, Miller and others (Millen) grew up together, fully aware of who and what they are. Developed by the military, this wolf pack was raised as regimented clones – singular in thought, movement and allegiance. Hell-bent on kicking up dirt, they’re dispatched to tackle their mission from all sides. But differences in approach betray cracks in their armor, and may be the very thing the sisters need to escape their clutches. The sisters will need all the help they can get. With Cosima’s fluctuating health and no known cure for the mystery illness that ails her, she is holding onto life by a thread while nursing a broken heart left by her scientist lover Delphine (Evelyne Brochu). Can she find a cure in time to save herself and her sisters? As the turbulent world of Alison turns, she faces fresh suburban woes and new marital challenges with lovable oaf of a husband Donnie (Kristian Bruun). How far will Alison go to keep up the façade of her cookie cutter life? Sarah’s torn between her desire for a life with daughter Kira (Skyler Wexler) and Kira’s father Cal (Michiel Huisman) and the urge to protect her foster family – loyal and feisty brother Felix (Jordan Gavaris) and mother Mrs. S (Maria Doyle Kennedy). But Mrs. S’s betrayal may cause her to turn her back on the only mother she’s known. The hits keep coming for the girls but their commitment to this new family is as important as ever. No clone can do it alone, and Sarah must align with unlikely bedfellows in order to take on what is yet to come… and hopefully, discover the truth – her truth – along the way. How far are they willing to go to save each other and protect their families? Co-created by Graeme Manson and John Fawcett, with Manson also serving as writer and Fawcett as director, the Peabody Award-winning drama also stars Dylan Bruce as Paul, an army officer working for secret forces in the clone world, Kevin Hanchard as Art, a detective caught in the clone trap and Zoe De Grand’Maison as Gracie, a Prolethean escapee. Guest-starring this season will be Justin Chatwin as Jason Kellerman, a neighborhood dealer, James Frain as Ferdinand, a cleaner sent to Dyad and Ksenia Solo as Shay, a new woman in Cosima’s life. Orphan Black is produced by Temple Street Productions in association with BBC AMERICA and Bell Media’s SPACE. The original drama is executive produced by Ivan Schneeberg and David Fortier of Temple Street Productions. The international hit series is distributed by BBC Worldwide and can be seen in more than 170 countries. The first two seasons of BBC AMERICA’s Orphan Black are on VOD, streaming on Amazon Prime, and available to purchase on digital platforms as well as Blu-ray/DVD. Nobility is coming to Wondercon! RYAN REYNOLDS "Bears" All as DEADPOOL! The Diversity Chronicles #04 - "Ravi on iZombie"
The Pixels trailer is here! The Lost Herondale by Cassandra Clare is out now! Will Chris Pine be the next Green Lantern? Netflix's Daredevil has a new trailer! Copyright © 2013 Something to Muse About and Blogger Templates - Anime OST.